Below is the layout of the space that I want to close with a fence. What is not shown in the picture is a large driveway that goes from the street to both the garage and the parking spot that I want to close. My plan is to fix the front view of my property, the house that is next to me, on the left side is a mirror image of my house. 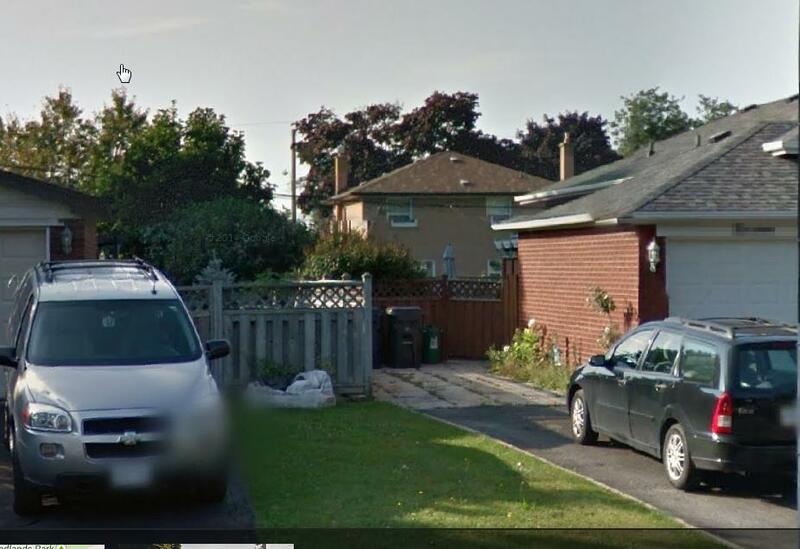 All the houses on the street are the same model and mine is the only one that has no front fence next to the garage. 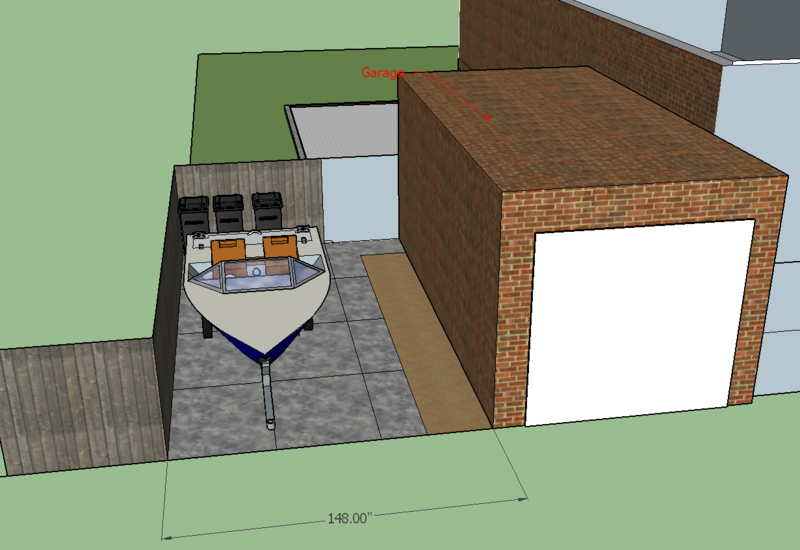 My plan is to keep the parking spot as it is (could use it for storing a small boat or to part an utility trailer) but to mask this with a fence and a gate. The gate will be used for accessing the backyard and the front side of the fence should be removable so I can get the boat or the trailer out of there. I am looking for a smart idea to close that area and to preserve the accessibility of that space. Are you permitted to build out into the driveway toward the street? You could sink a post to the left and right (anchoring the right post to the face of the brick garage). Frame it across the top, hang an upper tubular guide, and build a hanging sliding panel in front of the boat. The panel would span the left ~2/3 of the opening in front of the boat and roll to the right when access is needed. Not the answer you're looking for? Browse other questions tagged fence or ask your own question. Does a 4 ft. chain link fence need concrete footings for the posts? 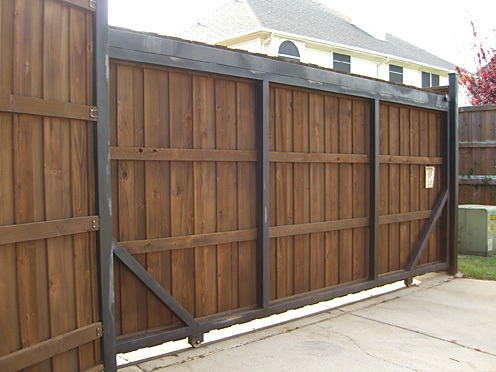 How do I rebuild a large fence gate? Horizontal Fence on a slope; what's the best design? I need to join my fence with my neighbor's; Can't use his post..how do I dig the hole for mine close to his? I installed my cedar fence 2 months ago. Can I stain it next year? How to secure opening to prevent access? How should I repair a fence that's leaning due to soft soil?